Hunters in Oneida, Vilas and Forest counties and others have a chance to communicate directly with DNR officials during a live online chat Monday. While all topics are open, a spokesperson for the DNR says CWD will be a key topic. "...so for the CWD one, DNR staff will be on hand to answer questions and discuss sampling locations. This year it is very important. 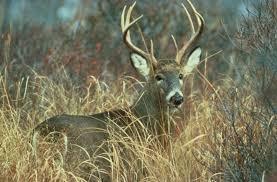 We encourage everyone who has harvested a deer to submit their deer for sampling. And as a reminder, you can go to the DNR website and search for the keywords, 'CWD Sampling' to find a place near you...."
".....we encourage everyone to join us Monday, October 31 at noon to ask questions and learn more about CWD in Wisconsin. We also have one more chat coming up on November 10. That's going to be another ask us anything chat for deer season...."
A ban on baiting for hunting and feeding deer for recreational viewing or other purposes in Oneida, Forest and Vilas counties is in effect due to the detection of chronic wasting disease in captive white-tailed deer on private land in Oneida County reported last December. State law requires the enactment a ban within a 10-mile radius of a captive or free-roaming domestic or wild animal that tests positive for CWD or tuberculosis. 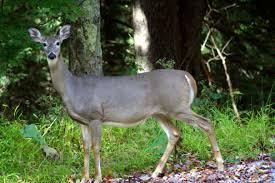 Baiting and feeding of deer is prohibited in 41 Wisconsin counties. Hunters around the Northwoods looking for an easy way to learn more about their hobby are reminded to join the Department of Natural Resources staff for live chats throughout the coming months. Public Affairs Manager for the Fish, Wildlife and Parks division of the DNR, Sawyer Briel says the live chats on the DNR’s website are easy to use.